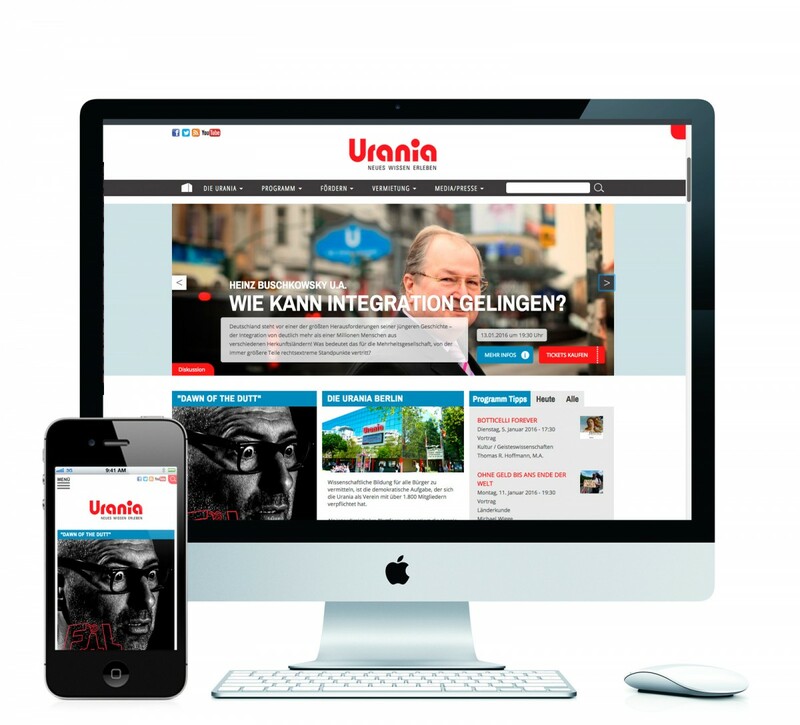 The responsive redesign of the old Berliner cultural institution Urania´s website has been developed in cooperation with Expand Global and Meyermisginmedia. The Urania runs approximately 2500 cultural events each year. These events are clearly arranged and displayed. To provide an intuitive approach a program calendar and an archive with multiple filtering options have been designed. Events can be filtered by event format, topic, date and a super easy point-and-click selection in the calendar overview. Selected events are presented and grouped dynamically and in the case of the program calendar also linked to the Reservix ticket system through a prominent call-to-action button.